The appeal in Building Industry Association v. U.S. Department of Commerce arose under the Endangered Species Act (“ESA”) and the Administrative Procedure Act (“APA”). It required the 9th Circuit Court of Appeals to review the designation of critical habitat for a threatened species–the southern distinct population segment of green sturgeon (the “Southern DPS of green sturgeon”)–and the regulations implementing that designation. The context for this litigation is the impact of the designation on local property owners and on the residential construction industry in the Sacramento-San Joaquin Delta and within the Sacramento River basin of Northern California. 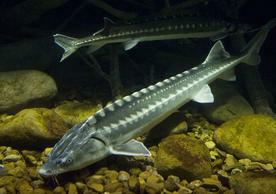 In 2001, the Center for Biological Diversity (“CBD”), along with two other organizations, petitioned National Marine Fisheries Service (“NMFS”) (NMFS is a service under NOAA in the Department of Commerce) to list the green sturgeon as “threatened” or “endangered” under the ESA, and to designate critical habitat. In 2005, NMFS published a proposed rule listing the Southern DPS as “threatened.” In 2010, NMFS designated approximately 11,421 square miles of marine habitat, 897 square miles of estuary habitat, and hundreds of additional miles of riverine habitat in Washington, Oregon and California as critical habitat. When designating critical habitat for the Southern DPS of green sturgeon, NMFS failed to balance the conservation benefits of designation against the economic benefits of exclusion from designation. NMFS’s decision not to exclude certain areas from critical habitat designation is subject to judicial review and NMFS abused its discretion in not excluding those areas. As part of the designation process, NMFS was required to comply with the National Environmental Policy Act (“NEPA”). When considering the economic impact of its designation, NMFS complied with section 4(b)(2) of the ESA and was not required to follow the specific balancing-of-the-benefits methodology argued for by Appellants. Section 4(b)(2) of the ESA establishes a discretionary process by which the agency may exclude areas from designation, but does not set standards for when areas must be excluded from designation. An agency’s discretionary decision not to exclude an area from designation is not subject to judicial review. Appellants’ NEPA claim fails because NEPA does not apply to critical habitat designations. The court cited, inter alia, Douglas Cnty. v. Babbitt, 48 F.3d 1495, 1501–08 (9th Cir. 1995) (explaining that critical habitat designations are not subject to NEPA because: (1) the ESA displaced the procedural requirements of NEPA with respect to critical habitat designation; (2) NEPA does not apply to actions that do not alter the physical environment; and (3) critical habitat designation serves the purposes of NEPA by protecting the environment from harm due to human impacts). This opinion should give landowners heartburn and Congress a lot to think about regarding potential ESA amendments. The next step for the Appellants in this case is to request review by the U.S. Supreme Court.